While looking at the prospect of doing business in India it would be prudent to see what options are available to a Non Indian company to invest in India. Since 1991 India has undergone a sea of change in its outlook toward foreign investment and global collaboration. Add to that the phenomenon called Internet and you really have an explosive combination. It's no wonder that software and Internet services have really led India's outward push. Once you have decided to invest in India, the next question is naturally, how do I set up operations? There are primarily 2 ways to get your work done. Many foreign investors prefer to have their own setup in India. This gives them better control over management of the organization. It is also the best guarantee that the company's processes are being followed. Furthermore this may in some cases tend to be preferable, especially if the volume of work is large or the work is sensitive in nature. However there are also disadvantages in this approach. One is regarding flexibility. Often these branches or subsidiaries are bound by the policies of the parent company and this may make it unwieldy when it comes to Indian legal and cultural framework. Secondly, management of a remote setup is always more difficult, especially if the work involved is intermittent and small in volume. To represent your company in various matters in India e.g., acting as buying/selling agents in India, etc. 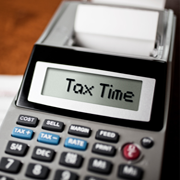 Any Chartered accountant in India will be able to source you this form. 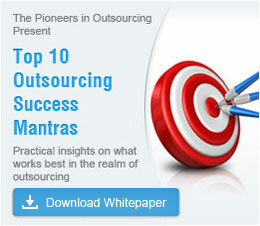 Contact Outsource2india and leverage the advantages of offshore outsourcing. If you would like to hand over control to the local management or would like to sell your products in India then look at this option. For the software industry, the Government of India allows up to 100% ownership by the Foreign Investor. Also, if you were to set up your office in an Export Processing Zone (EPZ), Software Technology Park (STP) or Electronic Hardware Technology Park (EHTP), then you will automatically be given permission for 100% ownership. The catch though is that you will have to export at least 75% of the final output out of India. Many of India's States have at least one of these Parks. Automatic approvals are given by the Secretariat for Industrial Approval for setting up 100% Export Oriented Units ("EOU"). These zones are designed to provide internationally competitive infrastructure facilities and duty-free and low cost environment. Various monetary and non-monetary incentives are granted which include import duty exemption, complete tax holiday, decentralized "single window clearance," etc. and payable at the State Bank of India, Nirman Bhawan Branch, New Delhi. This is a common form of investment, because it allows the Foreign Investor and the Indian partner to do what each does best - the foreign partner brings in technology, systems and products and the Indian partner takes care of Human resources, marketing and legal and tax issues. This is a special favorite for foreign companies just moving into India, since it gives you the distribution channel to get sales moving quickly. However over the long term you may prefer to move to a 100% subsidiary, to establish greater control. This is commonly done by means of stock buyouts or fresh investments. Both Wholly owned Companies and Joint ventures may be registered as Private Limited Liability (Pvt. Ltd.) or Public Limited Liability (Public Ltd.). Currently the government allows 51% shareholding by foreign companies in all but a small list of companies (these companies are essential to India's national security). You have also the option of acquiring a company already existing in India. Such acquisition could take place through the issue of fresh capital and /or transfer of shares of an existing Indian company to the foreign investor with the effect of transferring control. Shares of an Indian company could be acquired from another foreign investor, subject to RBI approval. This will give you the advantage of a readymade setup. The Foreign Exchange Regulations Act (FERA) makes it necessary that Reserve Bank of India (India's Federal Reserve Bank) permission be taken prior to acquisition of shares in an Indian company by a foreign investor. Similar permission is required in case of transfer of shares from you to a person resident in India. Either the transferor or the transferee can apply for permission. However be careful with this one. If the company is listed on the stock exchange, then you cannot hold more that 5% of the total paid up capital and all Foreign investors and Non Resident Indians (in case there's more than one) cannot own in total more than 24% of the capital. Outsource2india has been providing high-quality and technology-driven services to a wide range of global customers since the year 2002. Outsource to O2I and get access to proficient, professional and cost-effective services. Outsource2india provides a range of competent services which include call center services, data entry services, engineering services, finance and accounting services, creative design, web analytics services, healthcare BPO, photo editing services, software development, research and analysis services and a host of other additional services. Outsource to O2I and give your organization a competitive advantage. The corporate income tax effective rate for domestic companies is 35% while the profits of branches in India of foreign companies are taxed at 45%. Companies incorporated in India (any setup other than a branch) even with 100% foreign ownership, are considered domestic companies under the Indian laws. However, the New Export-Import Policy of 1992 provides substantial tax incentives for investments in Export. Major exporters are allowed to operate bank accounts abroad to facilitate trade. Companies that sell in the Indian market as well as international markets may deduct export earnings from their tax liabilities. Exporters and other foreign exchange earners have been permitted to retain 25% of their foreign exchange earnings in foreign currency. For 100% Export Oriented Units and units in Export Processing Zones, Electronic Hardware Technology Parks, retention up to 50% is allowed. Due to these benefits many Companies prefer to get their work outsourced, leaving you to do the things that directly impact your success. What ever you decide, you can be assured that our international team would be happy to work with you in making your business succeed. A look at some of the legal aspects governing BPOs in India. A big-picture look at how outsourcing benefits everyone involved. Compelling reasons to invest in Bangalore, the ITES & BPO hub of India. How and why the BPO & ITES industry is spreading geographically across India.